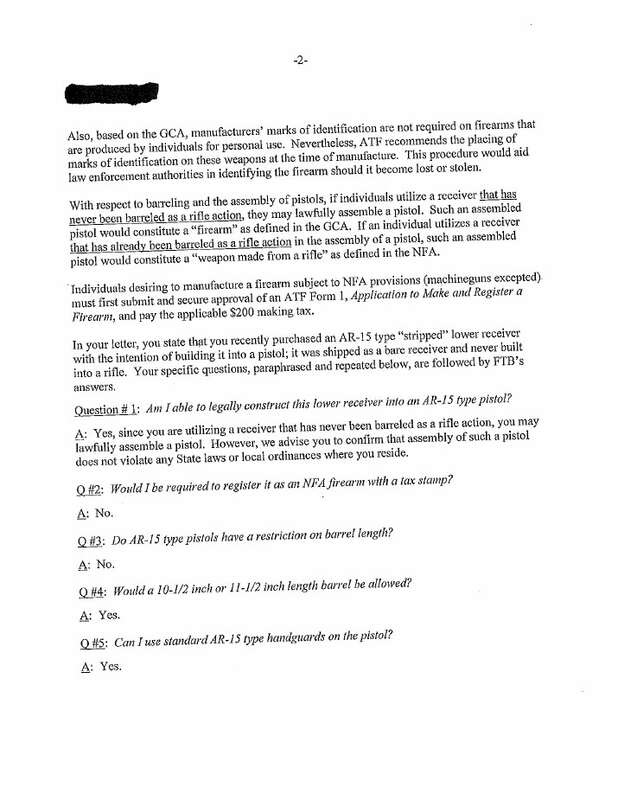 Folks, here is an ATF letter saying that an angled foregrip (AFG), such as Magpul’s models, can be used on an AR pistol. This is the first time someone shared a definitive letter with me vs. hearsay. 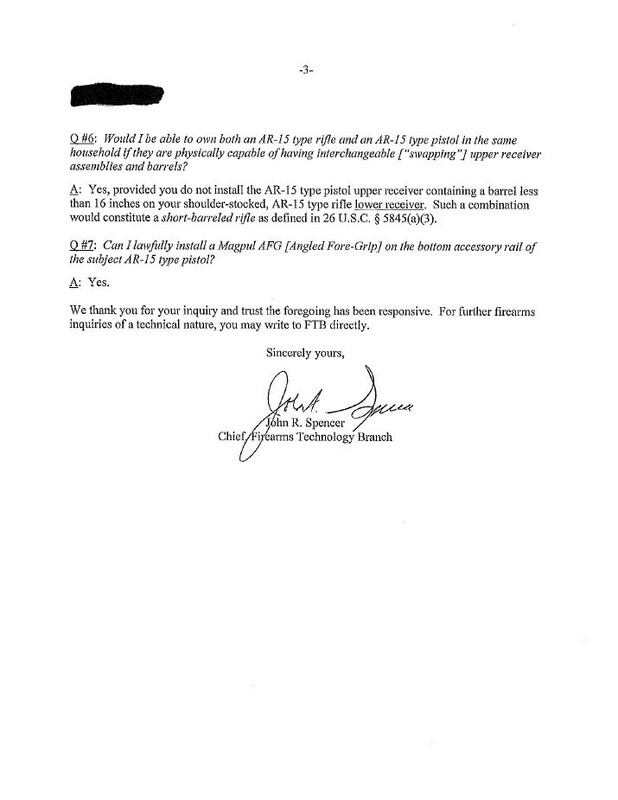 The reason this matters is that a vertical foregrip is not legal without first registering the pistol as an “any other weapon” or AOW. 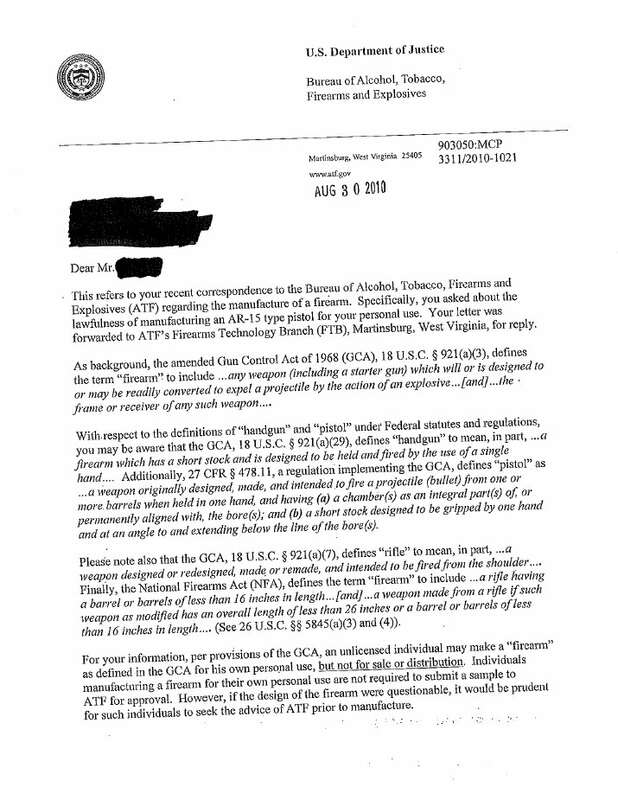 I recommend people print and keep copies of letters just in case they need to show someone that some aspect of a weapon was “approved” by the ATF at some point. 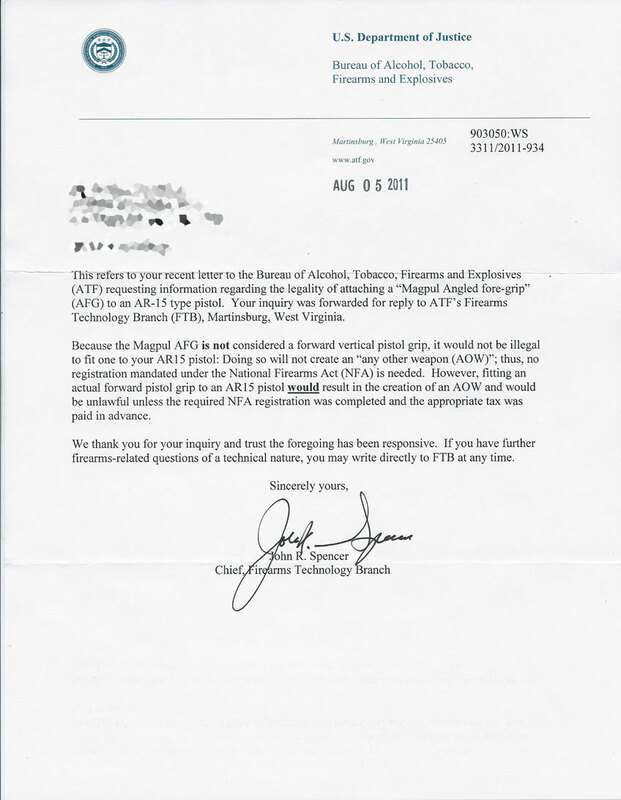 Just bear in mind that ATF letters are not absolutes but it helps to have them handy if asked. A state or local government may have their own more restrictive regulations as well so this may not mean AFGs are legal for everyone everywhere.